DarkDeception — Michael Robertson Jr. When the bus blows a tire, Lance Brody first assumes it's simply an accident. A slight delay in his journey. But it doesn't take long before the clues start to add up, and Lance realizes the situation isn't exactly as innocent as it seems. 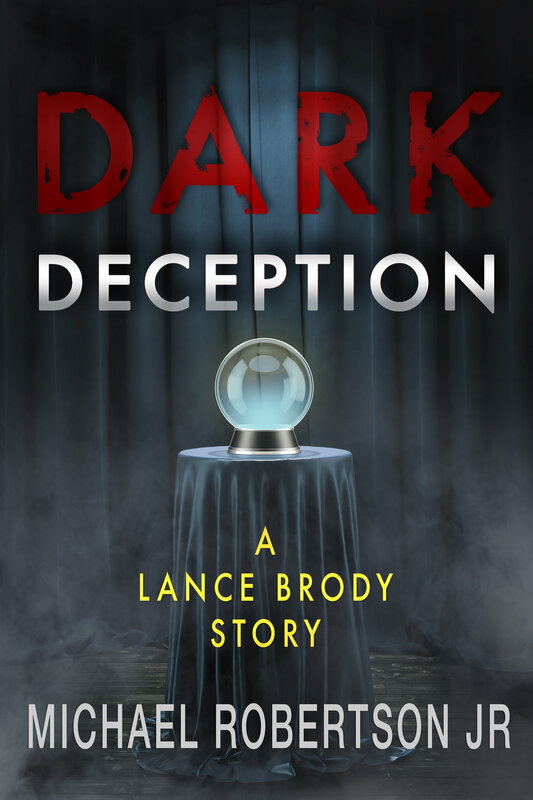 After meeting a grieving widow and the ghost of her beloved husband, Lance learns of a terrible crime being committed -- an awful deception. One which preys on those who are hurting, mourning, and simply having trouble letting go of those they've lost. He has no choice but to make things right. Even if it risks exposing himself for what he truly is.